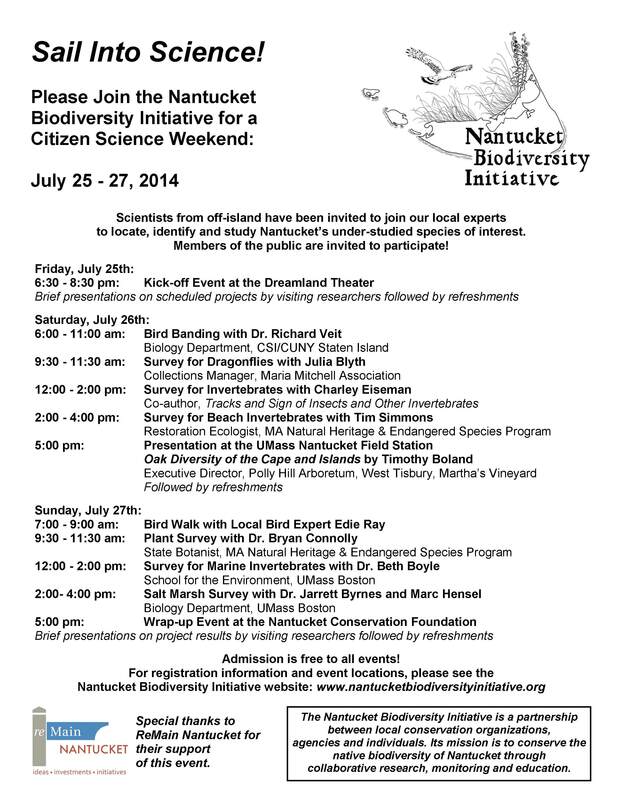 This coming weekend (July 25-27th) will be a busy one for island scientists, and you can join us in our work! The Nantucket Biodiversity Initiative (NBI), which is made up of Nantucket’s conservation organizations, has scheduled a number of events this coming weekend to bring visiting scientists and the public together for a Citizen Science event. It’s the sixth Biennial Biodiversity Assessment event hosted by NBI, and the first one ever to take place in the summer! Check out the full schedule of events online here: Sail into Science Event Schedule. Sign up for survey events using the online form. Sign-ups are required for field trips, and are optional (but suggested) for the evening presentations. Our goal is to expand our knowledge of the interesting creatures and plants of Nantucket Island, many of which are active during the summer, but not during the time frame of past NBI survey events. Scientists use “surveys” (searches for particular species or groups of species) to develop species lists and better understand a local ecosystem. This summer’s event will have targeted surveys of a number of species and groups of organisms — from plants, to marine and beach invertebrates, to dragonflies and leaf mining insects, to birds — at selected locations around the island. We will be kicking off this weekend of Science Exploration at the Dreamland Theater in downtown Nantucket on Friday July 25th, from 6:30-8:30 pm, with a series of brief presentations from visiting researchers, followed by refreshments. Presenters will discuss their topic of research and describe what they will be searching for during the event. The final wrap-up event will be at 5:00 pm on Sunday July 27th, at the Nantucket Conservation Foundation at 118 Cliff Road, where we will share a potluck meal and will discuss the most interesting finds from each of the surveys. Bring your favorite food and drink to share! Special thanks to ReMain Nantucket, whose sponsorship has made this event possible during the busy summer season. 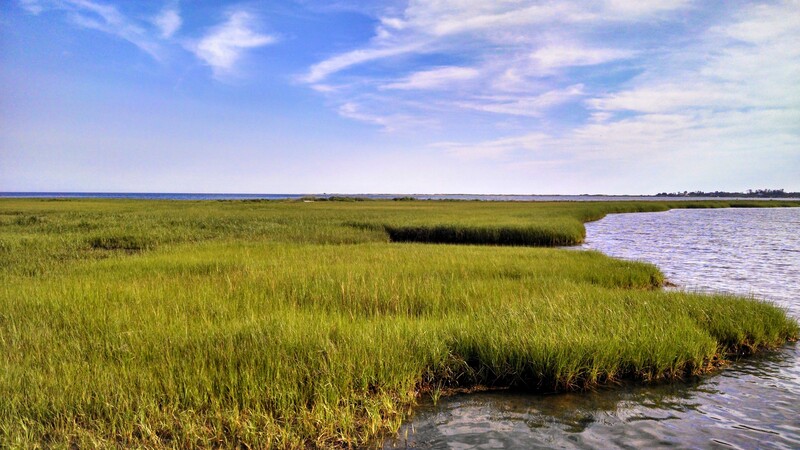 This entry was posted in Uncategorized and tagged Citizen Science, Nantucket, Nantucket Biodiversity Initiative, Nantucket Conservation Foundation, Natural History, NBI. Bookmark the permalink.